LATAM Airlines return flights Rome to Asunción, Paraguay from €530! Cheap flights from UK to Caribbean – Barbados from £280! Open-jaw flights from Europe to Kenya returning from Ethiopia from €272! Travelers in Italy or those of you who can easily reach Rome have some good opportunity to book discounted flights to Asunción, capital and the largest city Paraguay. Deal is based on LATAM Airlines, members of Oneworld alliance with one layover in Brazil on your way. Return flights are available from €530 incl. all taxes and fees and checked bag. Some cheap solution from Europe to Paraguay is pretty rare these days especially on LATAM so do not miss this solution if you were planning to visit this part of South America in first half of 2018..
LATAM promotion is valid for flights departing to South America from 17th of March to 27th of May 2018. Latest date of your return flight from Paraguay to Europe has to be 13th of June. This special sale is available till 6th of December or until sold out..Need an accommodation in Asunción you can use Booking.com or Hotels.com. You can compare all travel options or book this deal with LATAM Airlines directly. Below you will find our booking sample as well as few travel options. 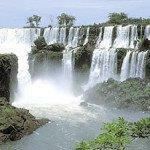 Booking sample of discounted LATAM Airlines return flights Rome to Asunción, Paraguay from €530! You would fly from Italy to this remote country in South America on Saturday, 17th of March. Your return flight from Paraguay to Europe via Brazil would be then on 1st of April 2018.